Protect West have over 25 years experience in the security industry. We offer full service and installation of a wide range of home and business alarm systems, as well as camera surveillance (CCTV) systems, across Perth WA. Fully Installed Alarm Systems More Affordable Than Ever ! 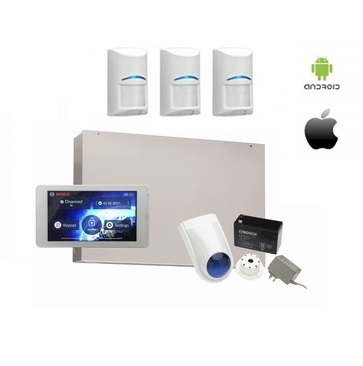 Secure your home or business today with the latest alarm systems Perth has to offer. 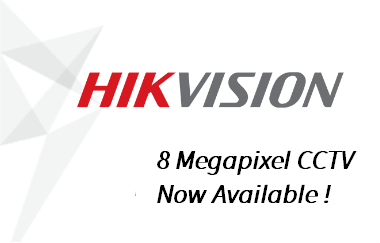 Fully installed in your home or business connected to an existing power point. We provide a user manual, warning stickers and corflute’s, full training and a 24 month warranty. Based on single storey home or office. Fully installed in your home or business connected to an existing power point. We provide a user manual, warning stickers and corflute’s, full training and a 36 month warranty. Based on single storey home or office. Fully installed in your home or business connected to an existing power point. We provide a user manual, warning stickers and corflute’s, full training and a 24 month warranty. Ideal for double storey homes. We provide a user manual, warning stickers and corflute’s, full training and a 24 month warranty. Full perimeter systems trigger before the intruder enters the home. 1. What products do Protect West Security use? We use both Paradox and Bosch alarm systems. 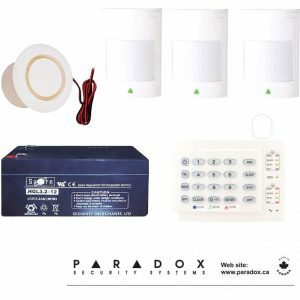 Paradox is a Canadian made and manufactured alarm system and widely used throughout Australia. This equipment has state of the art technology that is way ahead of other manufacturers and are known for their excellent quality and reliability. 2. 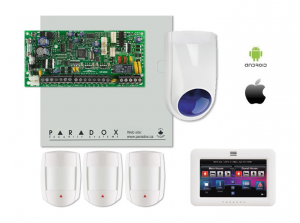 What is included with Protect West alarm systems? The system is fully installed, hard wired, connected to an existing power point, with a battery back-up. We provide a user manual, window stickers, full training and a 24 month parts warranty and 12 month labour warranty (based on a single storey home). Full perimeter alarm systems where we secure every window and door with special detectors are now becoming the preferred option. This type of system allows you to have the alarm on whilst you are able to move freely inside the house. 3. Does Protect West Security provide 24 hr. monitoring services? There are many positive reasons for having a fully monitored back to base alarm system, ranging from immediate response such as patrol or police attendance. 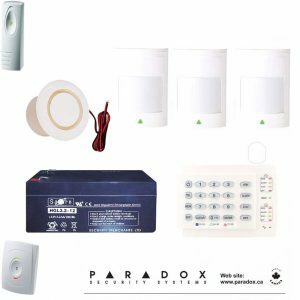 In addition, the condition of the alarm system is diagnosed for such things as power failure, battery failure, and communication failure. Most insurance companies look favourably at monitored alarms and will provide between 15% and 20% on contents insurance. 4. Is self monitoring available? Some people prefer to self monitor their own alarm systems and we provide a number of options. The most popular being the IP module which is connected to your internet and sends emails to your computers and smart phones in the even of the alarm. Alternatively a wireless GSM unit can send text messages or push notification to your smart phone, but these units require a SIM card which usually incurs a monthly fee. 5. What warranty does Protect West Security provide? We pass on the 24 month warranty provided by Paradox and 36 month warranty provided by Bosch on parts. Protect West provides 12 month warranty on Labour. We will come out and correct any problems within 12 months at no cost to you. Paradox and Bosch have been used in Australia for over 20 years, both systems are reliable, easy to operate and always the benchmarks when it comes to modern technology and new products. Contact Protect West Security today for a FREE no obligation quote!